The Video Copilot Complete Studio Bundle includes Element 3D V2, Motion Design Pack 1, and Pro Shaders 1. It also comes with 5 model packs including Fresh Food, Money & Casino, Projectile Weapons, Sound & Music, and Sport. Take advantage of this amazing bundle and give your projects the 3D visuals that they deserve. 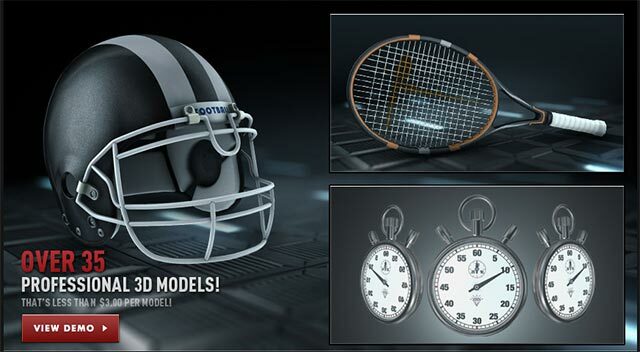 3D Model Packs for use with Element 3D or any 3D application.